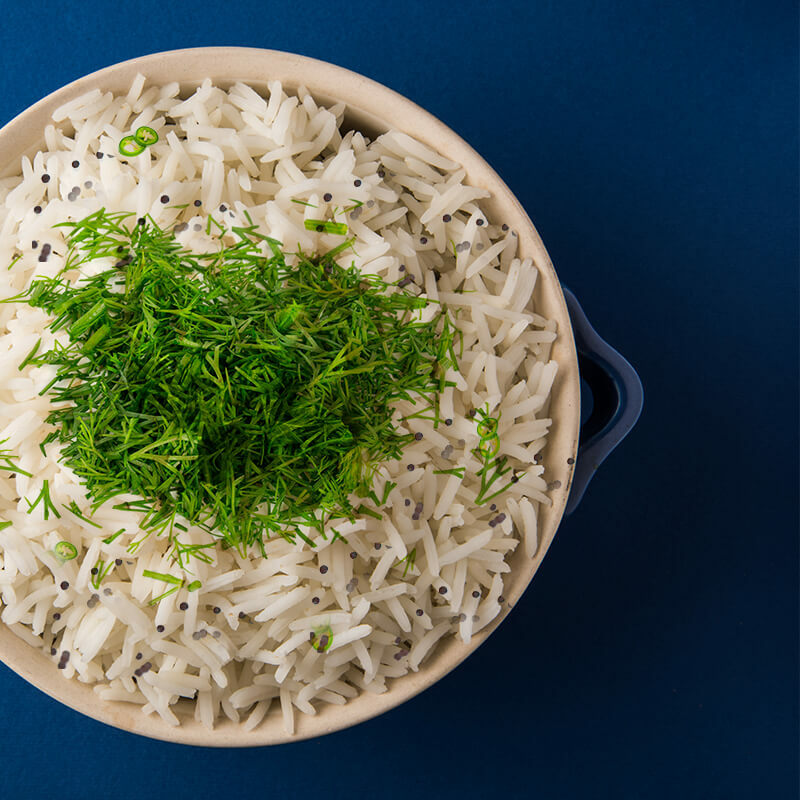 The delicious aroma of Basmati Rice finds a perfect partner in the sweet scent of dill. This dill pilaf is so simple to make and delicious, too! Try it for dinner tonight! Heat oil in a wok and add mustard seeds, urad dal and curry leaves. Add the slit green chili and sauté for few seconds, then add the chopped dill leaves. Sprinkle little water, cover the wok and cook until the water evaporates. Add the rice and salt and mix well. Serve with yogurt and a salad.